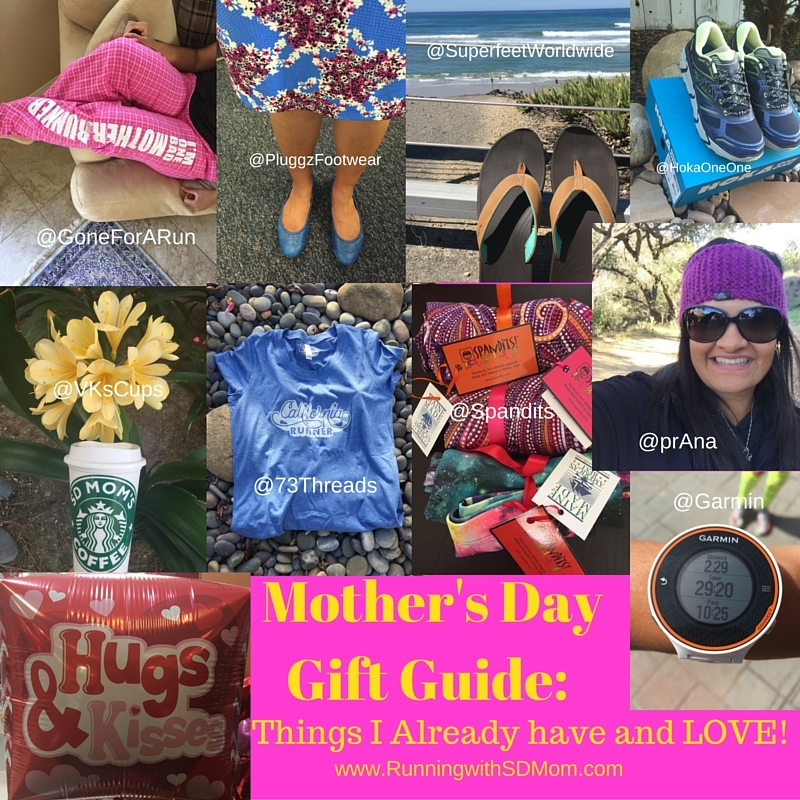 Running with SD Mom: Mother's Day Runner Gift Guide - Things I Already Have and LOVE! Mother's Day Runner Gift Guide - Things I Already Have and LOVE! Have I told you that I LOVE doing gift guides? It is a chance for me to browse my closet, my pictures and my internet for items I have that I love and items I don't have that I want! And I get to share them with you! I will be doing two different Gift Guides for Mother's Day. And you better get on it because Mother's Day is May 8, meaning you have two weeks to get your goodies shipped to your favorite Mother Runner! These are an awesome gift for the mother runner in your life because after a long day running and mothering and wifing, there is nothing better than putting on these pants and relaxing with a glass of wine. And let's face it, the mother in your life is One Bad Mother Runner! She deserves these. They come in other colors too! Yes, I realize that not all of you are from California and not all of you consider yourselves California runner, but you need a shirt from the 73Threads line. Their stuff is so soft and the graphics are adorably fantastic. Rumor has it they are coming out with a trail runner design too! Get the Mother Runner in your life the shirt that matches their personality best! Check out all their styles here! What? You thought I would have a Mother Runner Gift Guide of items I love without mentioning Spandits? Cray! Want a dress? Check! Want tights? Check! Want a skirt? Check! Want a hat? Check! You can get it all from Spandits and as luck would have it, they are having a cute Mother Child sale for 20% off all women's and youth wear thru May 8th! Use code SPANDITSLOVE for another 10 off and remember to tell them that Smitha sent you! They have so many cute patterns here. Check them out! The Mother Runner in your life deserves flip flops that make her feet happy. All those miles need comfortable shoes. These sandals are pretty new. You can get them on Amazon and directly from the Superfeet website. Excuse while I tell you why these sandals are AMAZING! Superfeet OUTSIDE sandals' foam layers work together to cradle your foot, while the distinct Superfeet shape and deep, structured heel cup help to absorb impact and provide support! Since I got them, I have been LIVING in them! 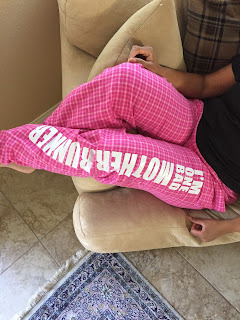 Trust me, the mother you love NEEDS these in her life! Another gift for your Mother Runner's favorite body part - her feet! I wear some form of Pluggz shoe every single day to work. While my favorites are the Wedges, I love my pretty iris blue flats. They are so comfortable and give you enough support without being bulky. Check out all the features: slip-resistant rubber soles, trampoline heel for comfort and support, memory foam insoles, padded arch and heel, moisture wicking anti-microbial lining. Get them here. We all know how much I LOVE prAna! You have heard me talk about their shirts and pants and skirts and dresses. But their accessories are super cute Like this headband! LOVE it and a great alternative to a bulky hat on a chilly day. I am pretty sure the Mother Runner in your life would appreciate you very much! Check out all of prAna's awesome stuff here. When I started training for the LA Marathon, I knew I need a watch with more lasting power than my Forerunner 10. I loved it and it served me well but I needed something I didn't have to charge everyday. Meet my awesome new already discontinued Garmin 620. I love it! The battery lasts forever and it even lets you do heart rate training. Which one day I plan to start! And did I mention it was touch screen? So good! The Mother Runner in your life (if she doesn't already have one) needs a GPS watch! trust me! Who doesn't want a coffee cup with their name on it? A Mother Runner for SURE wants one. Every time I make myself a cup of coffee in this it makes me smile. Nothing better. And imagine...personalized for her! Email cup orders@gmail.com for more info or Twitter at @vkscups! Put a smile on your favorite mother runner's face and get her one! Trail running is all the rage now. Much softer on your body and gentler on the mind. Less impact from dirt trails than from asphalt. That said, don't you think it is time you got your Mother Runner a pair of the best high rated trail shoes around? And the colors? So pretty! These are so comfortable that they are like running on really grippy clouds. Chex them out here and get her a pair! More than anything in the entire universe, what every Mother Runner wants on Mother's Day is hugs and kisses from the ones she loves! So make sure to give her plenty! I want people coming back to the blog saying "I got so many hugs and kisses for Mother's Day!" I know that is on the top of my list! Make sure to come back next week when I have a whole new Gift Guide. This time, it is made up of my wish list and I will have a BRAND NEW giveaway from Another Mother Runner! As always, I am linking up with Mar, Courtney and Cynthia - AKA the DC Trifecta, Nicole for Fit & Fashionable Friday and Jill for Fitness, Health & Happiness Link-Up! So, what on my list would you like for yourself? What will you be getting for the Mother Runner in your life? I'd like the ballet flats as I don't have any. Since I lost weight I haven't bought any dress shoes. Great ideas! I bought my mother (runner) her first Garmin last Mother's Day, and she lvoved it! Ooh, I need to check out those shoes. I really need some cute flats for this summer. How are the Superfeet sandals sized? I may need to get a pair of those. And all of the 73threads shirts. You know how I love t-shirts!! Love me some Prana as well! Happy weekend! Great gift guide! I think my mom would love some Spandits! I'm obsessed with my Hoka shoes! I've always struggled with shin splints and Hoka shoes are the only ones that allow me to run pain free! I think I need those Superfeet Sandals! I know so many people like spandits... definitely need to try. LOVE the colors. And it will be Mother's day in 2 weeks ? OMG where is the time going ????? Loving your post idea! I'm inspired and would love to do a similar post. I want every one of your suggestions! I desperately need some new lounge pants! #SupportTheGirls: SheFit Sports Bra Review! Mother's Day Gift Guide Part II: My Wishlist!